Breaking the Silence organizes photo exhibition at European Union headquarters in Brussels displaying the 'damages of the occupation,' while members of Reservists on Duty group arrive in Belgian capital to convince European MPs that IDF is a moral army. 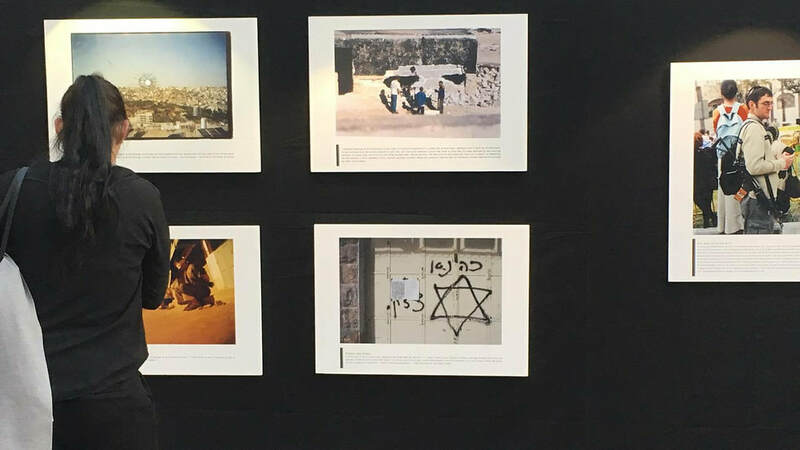 Two Israeli organizations went head-to-head this week at the European Union's headquarters in Brussels over a photo exhibition about Israel's "occupation" of the Palestinians. The left-wing NGO Breaking the Silence, which collects testimonies from IDF soldiers about what they say are war crimes committed by Israel against the Palestinian population in the West Bank, was invited by the EU to organize a photo exhibition about the "damages of the occupation and of controlling another people." The exhibition marks the 25th anniversary of the massacre carried out by Jewish settler Baruch Goldstein in Hebron on February 25, 1994, when he opened fire at the Ibrahim mosque in the Old City, murdering 29 Palestinians, including children. The NGO Reservists on Duty, which engages in public relations activity presenting the IDF as a moral army, went to the Belgian capital to fight back. On Tuesday, the IDF reservists met with EU lawmakers to present their narrative. "We decided to show them a different side to the story, one they don't know," said Maj. (res.) Amit Deri, the founder and head of Reservists on Duty. "We told them the IDF sent text messages to Gaza residents to warn them ahead of bombings, because we're a moral army. The parliament members seemed surprised; they got used to hearing that Israel is allegedly committing war crimes." Deri said the Breaking the Silence exhibition doesn't mention Palestinian terrorism or the Israeli casualties of these attacks. "There was a large crowd there that had no idea, and they were applauding (Breaking the Silence)," he said. "I felt shame and sorrow. Where are the testimonies about (Hamas's) use of the Palestinian population as human shields? The testimonies they bring to the European Union are not representative of the IDF. They are making a cynical and anonymous use of IDF soldiers to promote a political agenda." "The European Union must rethink the funding it provides Israeli and Palestinian organizations involved in incitement and brainwashing, which lead to the murder of Israelis," Deri said. Noy Leyb, another member of Reservists on Duty, said that he "witnessed instances in which Hamas sent minors armed with a knife to cross the border fence. These are not innocent protests. In most cases, it's terrorism." Breaking the Silence Executive Director Avner Gvaryahu, meanwhile, said that "While (Prime Minister) Netanyahu continues paving the way to the Knesset for Goldstein's friends, and the Israeli government and the settlers are doing everything to promote an international lobby to annex the West Bank, every Israeli citizen who wishes an end to the occupation and a democratic Israel should join us for the fight against the occupation and annexation—both in Israel and abroad." 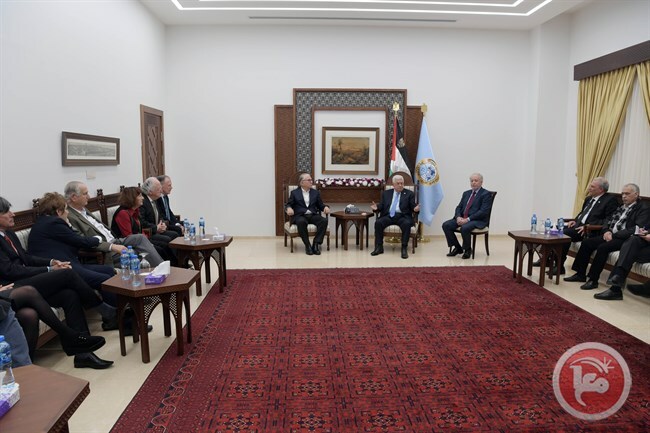 Palestinian President Mahmoud Abbas received a delegation of 30 Israeli economists from Breaking the Silence, an Israeli NGO, on Thursday, at the presidential headquarters in the central occupied West Bank city of Ramallah. Breaking the Silence, which was established in 2004, provides anonymous testimonies from Israeli soldiers and veterans recounting their experiences serving in the occupied Palestinian territory in order to shed light on human rights abuses committed by the Israeli army and the need to end the half-century occupation of the West Bank. Shmuel Metar, head of Breaking the Silence, told Abbas that the organization and the majority of the Israeli people are committed to achieving peace based on a two-state solution.